With the release of the highly controversial film Padmaavat, featuring a screaming Bollywood fashion icon as the 13th century Sultan of Delhi Alauddin Khilji, it’s time for a reckoning not only in how we see Khilji, but historical figures in general. 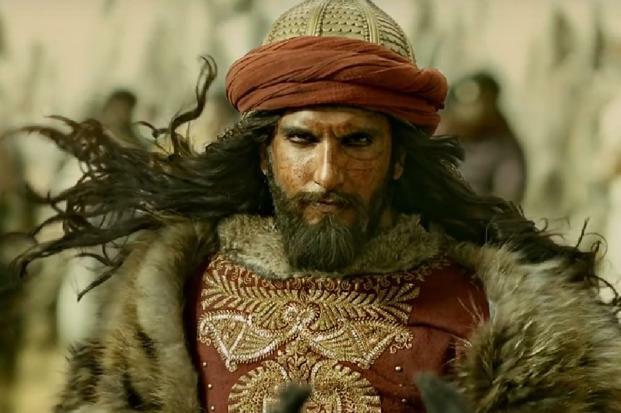 Many historians and media outlets have leapt into opposition against director Sanjay Leela Bhansali’s (and actor Ranveer Singh’s) depiction, accurately pointing out that the real Khilji was highly influenced by Persian culture, that he used cruelty as a strategy and that he kept the Mongols out of India. These are excellent points and one wonders if the Padmaavat depiction will contribute to a negative stereotype about India’s Islamic rulers (even though the film focuses on the ruler’s obsession over a woman rather than on his administrative skills). However, this debate has distracted us from a comprehensive assessment of Khilji’s policies and achievements by focusing on one set of conflicts in North India. The most long-reaching effects of Khilji’s career were not merely military or territorial, though those were important. His policies also played an important and decisive role in India’s economic and political history, especially so in the south. Jack Weatherford in Genghis Khan and the Making of the Modern World (2014) points out that the Mongol Khan always offered cities the option of surrender before ordering their complete destruction. Often, the brutal levelling of one city and the massacre of its ruling elite would lead to the rapid surrender of its neighbours to Mongol rule, thus saving on manpower. In the case of both the Turks and the Mongols, it took barely a generation to go from “barbaric” conquerors to rulers. It is in this context that we should see Alauddin Khilji. He is a Machiavellian (dare we say Kautilyan?) figure. In fact, Khilji’s ruthless adherence to the principle that the state must benefit at all costs, while being agnostic to religion , is strikingly similar to the views of the Arthashastra. As sultan, Khilji needed to defend his frontiers from Mongol incursions while simultaneously fending off assertive vassals and independent Indian states. The Indian powers were terrorized into submission through a ruthless application of psychological warfare, as Khilji’s actions against the Rajputs proved. But to keep this up, he would need a large standing army, not a traditional feudal levy to be raised only when in danger. In an almost Ciceronian bent of mind, he seems to have recognised that the sinews of war were infinite money, in addition to Mongol-style psychological attacks. Using the territory of his compulsory ally, Devagiri, he dispatched a series of raiding expeditions south under his general Malik Kafur, while terrorizing the Mongols, building their severed heads into the foundations of Siri Fort in Delhi . Kafur, too, used shock-and-awe tactics. The infantry and elephant-focussed armies of the south were outmanoeuvred, supply lines severed, and smashed separately before they could converge. The rougher terrain of the Deccan gave them some edge against cavalry (which does best on flat terrain a la North India), but the Turkic officer core and army organisation, perfected in the fluid, mobile battlefields of Central Asia, were a class apart. As a result, kingdoms such as the Hoysalas and the Kakatiyas tried to buy time with ransoms but were ultimately defeated. Khilji’s campaigns completely upset the South Indian status quo. The dynasties which he had uprooted adhered to an older form of kingship, a sort of segmentary sovereignty which compelled the ruler to recognize the hereditary rights of interest groups such as village councils, landed nobility, and merchant guilds. But recent scholarship, especially work done by Burton Stein, points to a broader trend of migration of hardy warrior-peasants (especially from Andhra) into the rocky Deccan that was already in place, creating new urban centres which threatened the older landed order . By shattering this older order, he cleared the way for the creation of new states, the emergence of new interest groups, and therefore new social and political equilibria. The South Indian states of the 13th century onward were more integrated into the global economy and the latest technological and military advances. The Bahmani Sultanate and the Vijayanagara Empire learnt well from the campaigns of Alauddin. Trade was a major priority for Vijayanagara, and control of the ports of Tamilakam and the Konkan Coast was deemed important enough to call halts to civil wars . Other groups of cultivators-turned-rulers, such as the Reddys, remain prominent to this day, and the migratory movements which could happen due to the anarchy of the 13th century left a significant imprint on the demographic profile of South India. Barani informs us that any merchant who was found cheating the standard rates was penalised by cutting off an equal weight of flesh from his limbs. Still standing in the heart of South Delhi, functioning as roundabout for traffic, is Khilji’s Chor Minar. This was used to display the heads of thieves or dacoits who tried to defraud the system. In times of famine, amazingly, every household in the city had something to eat, enabled by a sophisticated system of godowns and warehouses. Contemporary travellers’ accounts describe the fixed prices, come hell or high water, as a wonder of the world. The system allowed Alauddin to maintain, arguably, the largest, best equipped force ever fielded by the Delhi Sultanate, with observable results. But the policy had other ramifications. The peasantry and landed nobility had little incentive to increase production, struggling under heavy tax burdens . The sultan refused to lower the taxes they paid, and his land surveys—the first in the history of the Sultanate—allowed him to keep a keen eye on defaulters, and tax cultivators directly. Merchants, too, could not pursue profits beyond what the sultan allowed (a departure from Kautilya, who has more farsighted views on fair prices and profiteering ). Irfan Habib points out in Cambridge Economic History Of India Vol-1 that real wages for labourers remained low, and Khilji often had to subsidise merchants, though Abraham Eraly argues that the improved functioning of state institutions could have allowed for some degree of prosperity. Gujarati textile merchants made full use of this opportunity, buying cheap cloth from Delhi and selling it at places like Mecca for a delicious 700% profit. Coastal trade grew leaps and bounds, with wealth essentially being transferred from the once-dominant urban centre of Delhi to new ones on the coast. These new centres came at a point when the fledgling empires of the Deccan were rising, and would have played a vital role in integrating India into global maritime trade, which was rapidly expanding. This is an important effect, which most Delhi-centric views of Khilji’s rule neglect. Please provide Print Friendly page so that we can easily get a print page in computer. That would be more useful to readily store pages.